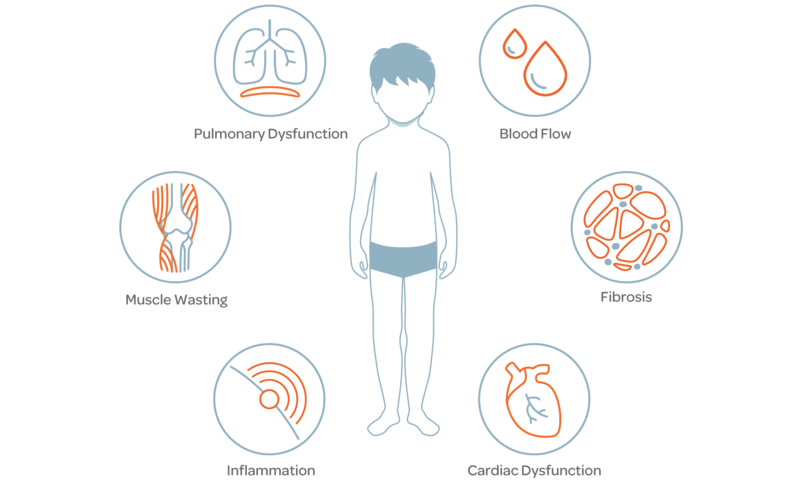 While we believe disease progression can be slowed or halted by gene therapy, many patients will still experience the manifestations of Duchenne muscular dystrophy (Duchenne), such as damage to their muscles, inflammation, cardiac dysfunction and fibrosis. We are building a portfolio of complementary disease-modifying therapies designed to address these manifestations. Our disease-modifying therapies portfolio currently includes a preclinical biologic program called anti-LTBP4, a monoclonal antibody designed to reduce fibrosis and inflammation. The goal of this program is to target the known mediator of fibrosis, TGF-β, and inhibit its activity. This may be accomplished by stabilizing a protein called latent TGF-β binding protein (LTBP4), which in turn maintains TGF-β in its inactive form. The hope is that this program will reduce fibrosis in Duchenne patients and slow functional decline. We are working to grow our disease-modifying therapy pipeline. Our research and development team, along with our network of world-leading experts in Duchenne, continue to survey the diverse landscape of therapeutic approaches coming out of academia and industry. Through our robust diligence process, we are currently assessing a number of emerging and complementary programs, aiming to advance only those that have the highest potential for success.